Doka UK, February 21, 2018.- Reports, trend analysis and construction studies are necessary references for business decision making by companies. For this reason, we wanted to spend some time looking at the latest information from Scape Group on the National Civil Engineering and Infrastructure Framework, which proves an interesting reflection on the part of its Executive Director, Mark Robinson. 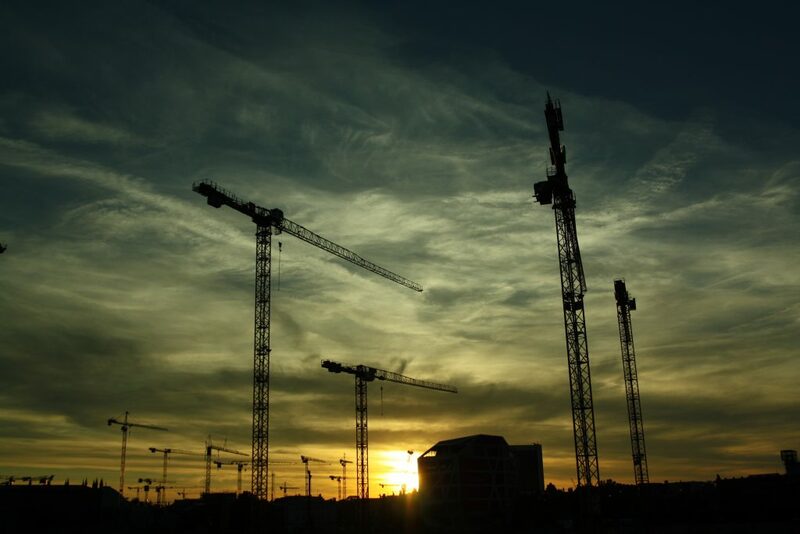 Scape Group, a public-sector partnership that manages infrastructure frameworks across the UK, have recently published details of their National Civil Engineering and Infrastructure framework. Due to be re-procured in 2018, this second generation framework will deliver major civil engineering and infrastructure projects across the country with an increased total value to £2Bn. This time, the framework includes a dedicated £400M lot specifically for the public sector in Scotland. The growth, in both size and value of the framework, reflects the growing pipeline of major infrastructure projects across the United Kingdom. The framework has been developed following engagement with local authorities, Local Enterprise Partnerships and other public sector bodies across the country, as well as industry body the Civil Engineering Contractors Association (CECA). Bidders are invited to tender for the four-year framework in either individual or multiple lots, and the framework will also be open to consortium bids. Victoria Brambini, Managing Director of Scape Procure, comments: “Investment in infrastructure is vital to unlocking long-term regional growth, bringing local economies closer together and ultimately strengthening communities. Our aspiration is to continue to provide a framework that allows time and cost certainty as well as delivering extensive social value for the public sector for every pound spent. The current framework, led by Balfour Beatty and supported by an extensive local supply chain, was procured with an expected value range of between £1bn and £1.5bn and is on target, running until January 2019. How do we achieve better procurement post-Brexit? “As Brexit negotiations progress towards the fundamental details of trade, economics and transition, the time is right to get into the detail of procurement policy in a post-Brexit United Kingdom. Last year we published our Better Procurement report, which set out our vision for how public sector procurement could be reformed and improved. At the core of the report’s recommendations was our belief in the importance of Small-Medium Enterprises (SMEs) and the delivery of social value across the UK through public procurement. I am pleased to say that the response from across the industry and the public sector has been extremely positive. But to improve the system, we must make the case for changing it to policymakers. We have therefore also sought to engage with stakeholders within Government on the potential for procurement policy reform post-Brexit. Although there is still much to be agreed and negotiated on our future relationship with the EU, it is very clear that the Government is serious about making the most of the opportunity while also retaining a robust procurement system. They are also keen to understand the issues that SMEs face and ways in which procurement can be streamlined to unlock their potential. Our Sustainability in the Supply Chain research, one of the most comprehensive surveys of the supply chain ever undertaken in the built environment industry, revealed that over 50% of SMEs do not feel well informed about future public sector contracts. Furthermore, 75% of all suppliers in the sector said they believed the public sector needed to do more to engage with its supply chain. As events in the industry during recent weeks have shown, good public sector procurement and the sustainability of the supply chain have never been more important. But how can we use Brexit to help us address these domestic challenges? Although exiting, the EU comes with a great deal of complexities and risks, it also presents an opportunity to bring procurement policy home to the UK. Currently most major public sector procurements are undertaken through the Official Journal of the European Union (OJEU) and, although it is a system with many merits, it is logical that the UK establishes its own system when it leaves the EU. In this way, Brexit would allow the UK to create a simpler, more flexible and less bureaucratic system. A streamlined system would make public sector contracts more accessible to SMEs, and this would have many benefits. More bids would increase competition and innovation, resulting in better quality contracts for the public sector and, ultimately, better value for the taxpayer. The economic impact would also be felt across the country, with local communities benefitting through the supply chain. Currently, however, the system is in many ways too bureaucratic. Often SMEs do not have the time, resource or expertise to effectively compete with larger contractors, who often have larger bidding teams. The system is so burdensome that SMEs do not use it to find new opportunities. Our Sustainability in the Supply Chain research revealed that just 36% of SMEs in the built environment sector learn about new opportunities to bid for work through OJEU. One straightforward way to reduce the burden, and to level the playing field for SMEs, would be to establish one central account for prospective bidders, so that they do not need to complete time-consuming pre-qualification questionnaires each time they would like to bid for a public-sector contract. Bringing procurement policy back to the UK provides an opportunity to finally make this change. Any reforms to procurement policy must, of course, prioritise the need to deliver maximum value for the taxpayer. One of the benefits of the current OJEU-based system is that it is hard to influence unfairly, and it is important that we retain this principle. A UK system of procurement must be rigorous and immune to undue influence or bribery. Whilst it is vital that the current framework is simplified to help SMEs bid for contracts, it must not be watered down or deregulated. Now is the time to act. Although the very fundamentals of our future relationship with the EU are yet to be agreed, 2018 must be the year in which the principles of Better Procurement move up the policy agenda. Despite its many challenges, Brexit presents a positive opportunity to strengthen supply chains here in the UK, and we must seize it. But we must also ensure that the debate on the future of procurement policy focuses on outcomes for the taxpayer, SMEs and communities, and not ideology”. 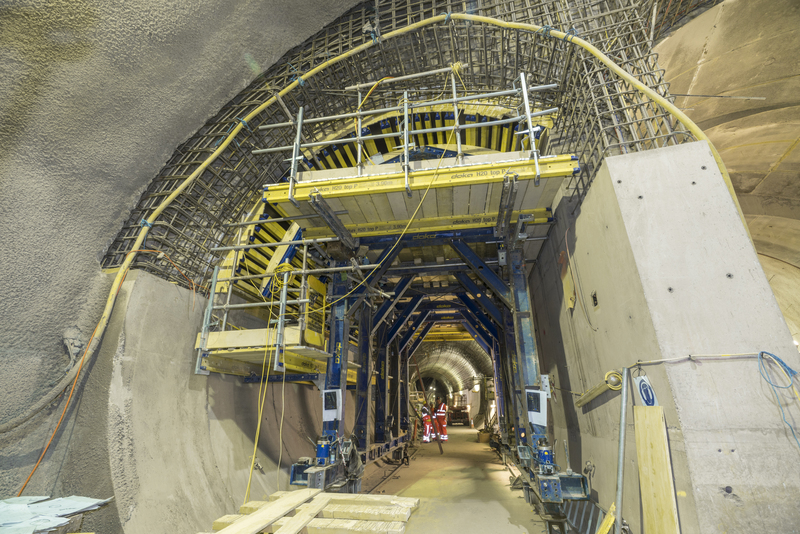 Doka work with major partners on these civil and infrastructure projects in order to supply formwork and shoring solutions for the construction of bridges and tunnels, public facilities such as schools, hospital and transport hubs as well as power-generation facilities. As a specialist supplier of construction materials, we believe it is critical to ensure that there is an even and balanced environment to allow for all types and sizes of construction company to become involved and engaged in these larger nationwide framework agreements. At Doka, we would welcome the opportunity speak with companies which are looking to participate in the next round of framework agreement and to take the opportunity to share our thoughts on how our formwork and shoring services can integrate themselves into the earlier stages of your plans.